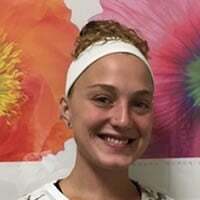 Medical Assistant student Alyssa Meserve is our May Student of the Month. Alyssa came to NTI last fall in search of her Medical Assisting Certification. As a working Mom, she has faced many obstacles that would have the average person to the point of falling severely behind or even giving up, but not Alyssa! She is a very determined individual that strives to overcome and succeed. Alyssa is very mindful of her studies, and has done a great job in becoming a compassionate Clinical Medical Assistant! Congratulations, Alyssa on a job well done!